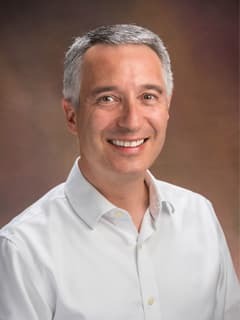 Led by Matthew D. Weitzman, PhD, researchers in the Weitzman Laboratory are investigating the molecular relationships between viral infection and cellular DNA damage response (DDR) pathways, as well as studying their contribution to genome instability and cellular transformation/tumorigenesis. The goal of the research in this laboratory is to identify and characterize virally-induced changes that dysregulate DDR pathways, promote genome instability and lead to transformation of normal cells to malignant ones. APOBEC3A damages the cellular genome during DNA replication. Cell Cycle. 2016 Feb 26:0. [Epub ahead of print]. PMID: 26918916. Green AM, Landry S, Budagyan K, Avgousti D, Shalhout S, Bhagwat AS, Weitzman MD. Stress Flips a Chromatin Switch to Wake Up Latent Virus. Cell Host Microbe. 2015 Dec 9;18(6):639-41. doi: 10.1016/j.chom.2015.11.011. PMID: 26651937. Characterization of histone post-translational modifications during virus infection using mass spectrometry-based proteomics. Methods. 2015 Nov 15;90:8-20. doi: 10.1016/j.ymeth.2015.06.008. Epub 2015 Jun 17. PMID: 26093074. Kulej K, Avgousti DC, Weitzman MD, Garcia BA.